First of all, we’re at new highs in the market, which is fairly remarkable. 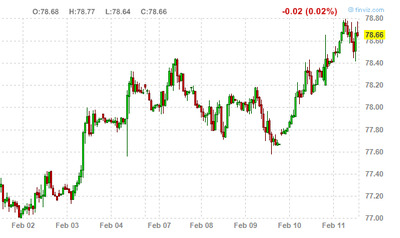 But what’s pretty astounding is the rally in the dollar that’s coincided with the recent gains. This isn’t a “QE3” rally. Here’s a look since February 2.